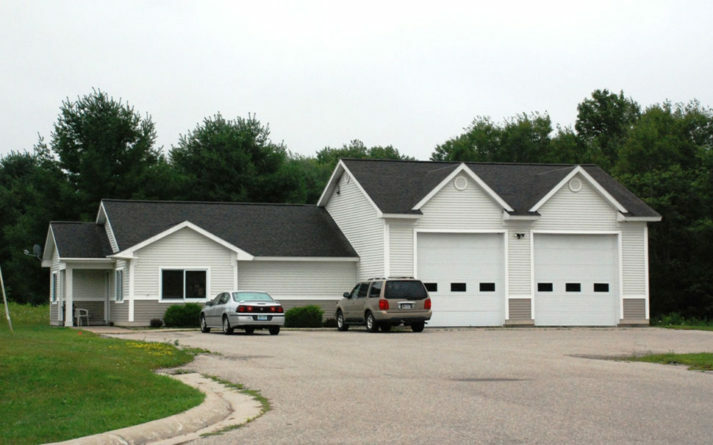 ALCONA COUNTY EMS STATION – Sidock Group Inc. This small, EMS facility includes crew quarters, an office area, training space, and two apparatus bays for EMS vehicles. The project is one of two facilities built for Alcona County to serve rural areas. Wood frame construction was utilized to build for this facility along with a slab-on-grade foundation. Low-maintenance exterior materials were specified.